Happy Labor Day! I hope you are all enjoying a nice warm day off and the last unofficial hours of summer! This weekend, I went to the Jersey shore for the first time all summer (and last) and had an amazing day at the beach followed by a fun relaxing night on the deck with my friends. 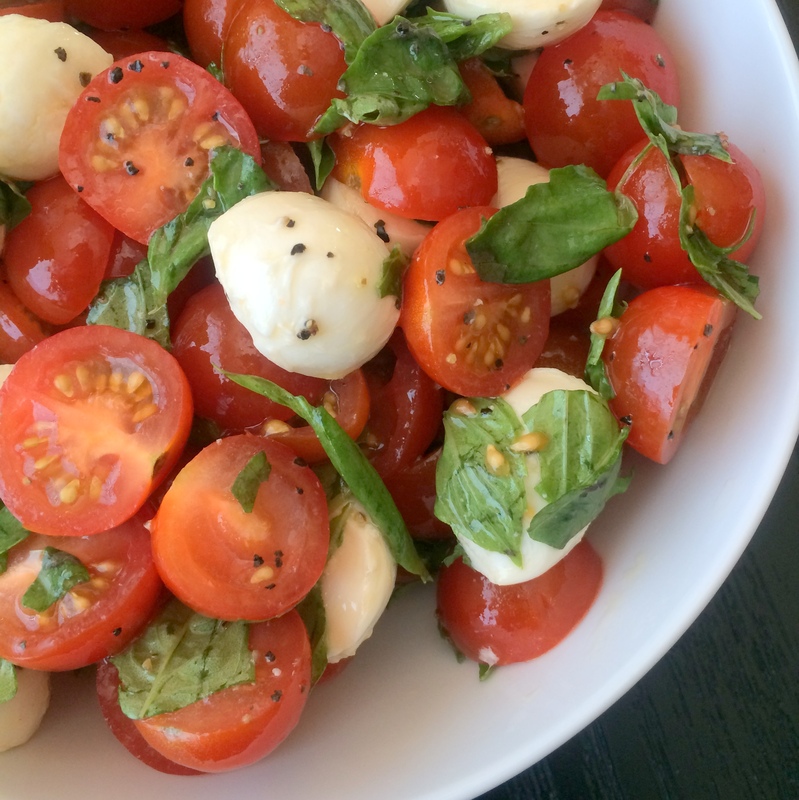 Yesterday I enjoyed the a little party at my friend’s house and because I love making food for such get-togethers, I threw together this quick Cherry Tomato Caprese Salad which was perfect on such a hot and sometimes sunny (and sometimes stormy) day. 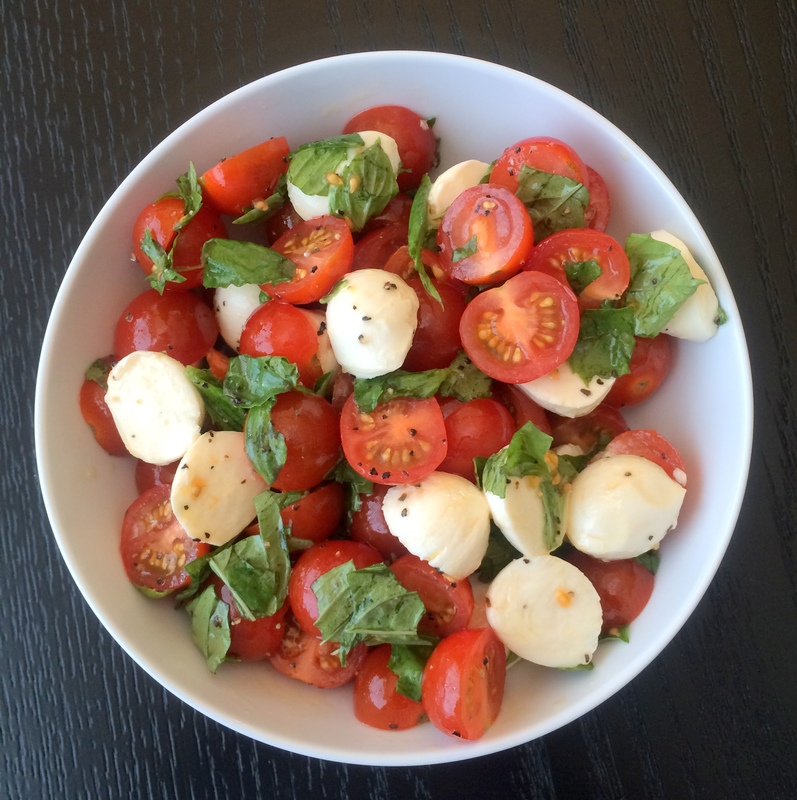 Cherry tomatoes, mozzarella balls and basil are combined with a simple vinaigrette of white wine vinegar, olive oil, salt, and pepper. So simple. I doubled the recipe for the party and used both red and yellow cherry tomatoes instead of heirloom tomatoes but chopped vine-ripened, grape, or plum tomatoes would work too. Also, use whatever vinegar floats your boat. The white wine vinegar has a nice acidity and subtle flavor but red wine or balsamic vinegar would be great too. I have a flight to Atlanta this afternoon so instead of partying, I’m soaking up the sun on the balcony with a cold iced tea and great book but if you have somewhere fun to be and need a quick dish, this will be a winner no matter where you go! 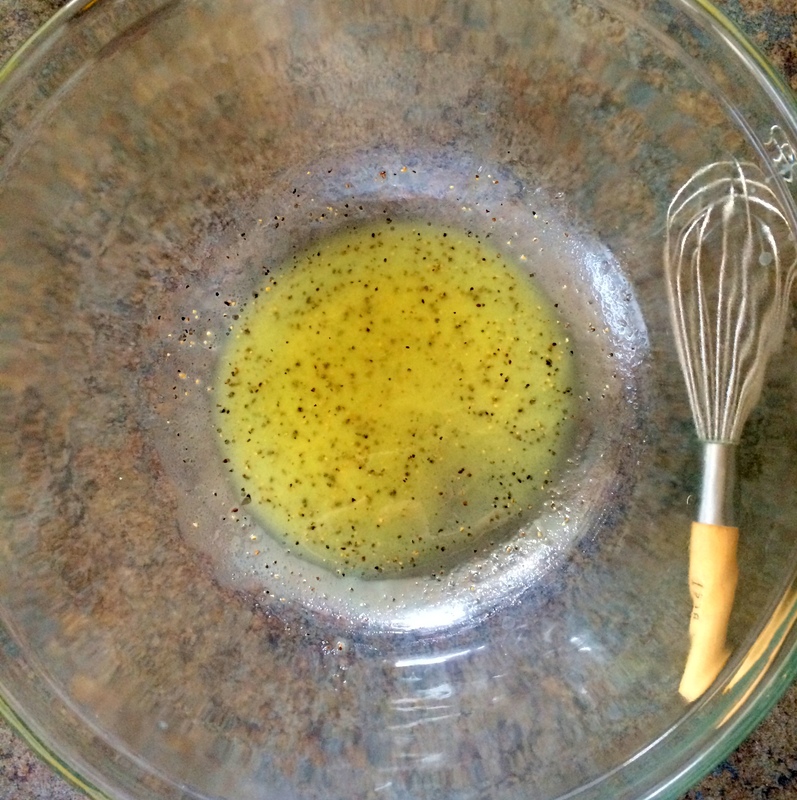 Combine vinegar, olive oil, kosher salt, and freshly ground black pepper in a medium bowl, stirring well with a whisk. 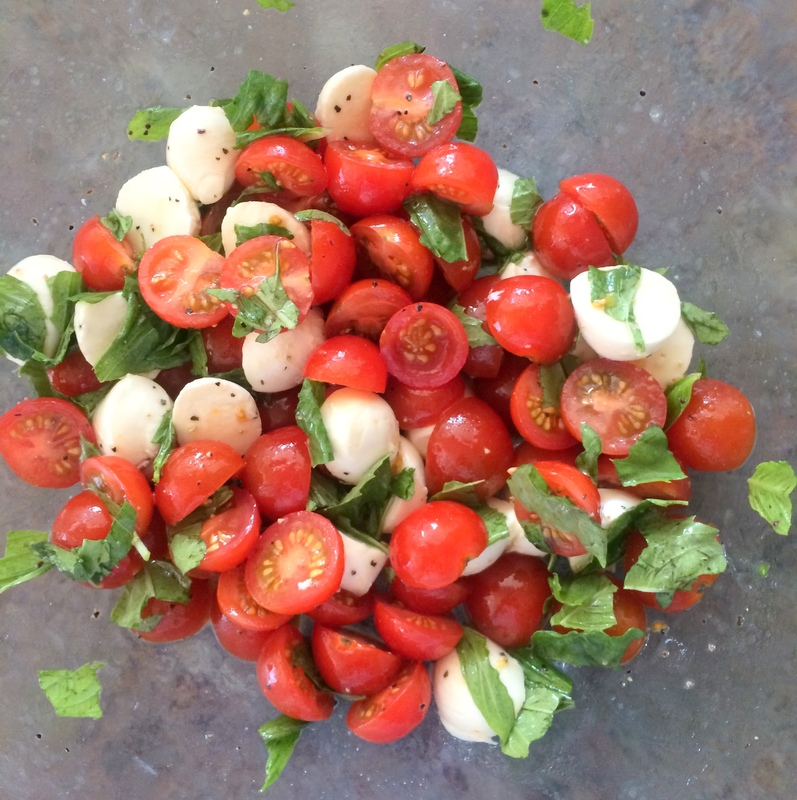 Add halved cherry tomatoes, fresh basil leaves, and mozzarella balls.